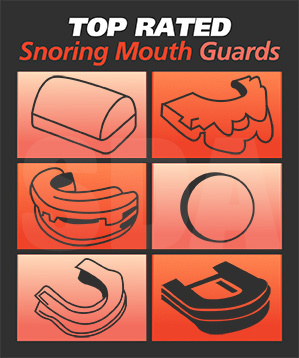 Tongue retaining devices have become pretty popular in the stop-snoring world, mostly because of their unique design and due to the fact that they’re a bit ‘less invasive’ than mandibular advancement devices. Tongue retaining devices essentially stop snoring by holding the tongue forward during sleep. They usually accomplish this through the use of a small ‘vacuum’ created by the front part of the device. You simply pinch the end, stick your tongue in, and then let it go – and it will hold your tongue forward gently with the vacuum created by the seal. You’re supposed to wear them while you sleep to help prevent snoring. These devices work by pulling the tongue slightly forward and holding it there during sleep. This keeps it from falling back into the throat, and also helps to prevent constriction of the soft palate. Soft palate vibration and constriction of the upper airway are some of the main causes of snoring – so these devices were designed to target these specific problems. The main benefit of the tongue retaining device is that it’s non-invasive. It’s also very simple to use, and is usually smaller in size than a mandibular advancement device. Since it’s smaller, it will probably tend to seem less ‘extreme’ to some people. A lot of people feel more comfortable with this type of device than they do with the larger, more complicated mandibular advancement devices. Tongue retaining devices don’t put any pressure on the teeth either, which could be considered an upside. Some types of MADs have been known to push on the teeth, which can cause a bit of discomfort. But this device circumvents this problem entirely by dealing only with the tongue. The main downside to this type of a device is that it doesn’t cause the entire jaw to sit forward. It only holds the tongue. This doesn’t always limit its effectiveness, but some people might end up needing more – which is why MADs are so popular with some people. Another possible downside to this product is that it can cause a bit of soreness in the tongue, especially at first – but this also tends to disappear as you use it and as your tongue gets more accustomed to being held forward during the night. Should you use a tongue retaining device? If you have a snoring problem that’s affecting your quality of sleep or the quality of sleep for your partner, then yes – a tongue retaining device might be perfect for you. You might also want to give it a try if you want something that’s really effective, but don’t see yourself wanting to use a mandibular advancement device. Since they’re a bit less invasive, tongue retainers are ideal for people who don’t mind keeping something in their mouth while they sleep, but don’t want something too big or too bulky. Information! They are also pretty economical – so if cost is something that you’d like to keep under control, this type of a device may be perfect for you. When shouldn’t you use a tongue retaining device? If you don’t want to keep something in your mouth while you’re sleeping, then this method might not be for you. If you need something that’ll actually hold your jaw forward to really open up your airway, then this device might not do quite enough to keep you from snoring completely. If you can’t get used to having something holding your tongue forward while you sleep, then a tongue stabilization device might simply be too much for you to get used to. Attention! Tongue Retaining Devices are actually a pretty effective snoring solution. The good ones do what they were designed to do, and are pretty good at eliminating snoring problems. They might not work for everyone, as every snoring problem is a little bit different – but in-general, you really can’t go wrong by giving this method a try. If you’re tired of not being able to get a full night’s sleep and just want to help fix your snoring problem without being forced to buy and use a huge mandibular advancement device, then this is definitely an option that you should think about. They’re effective, inexpensive, and do what they do pretty well.